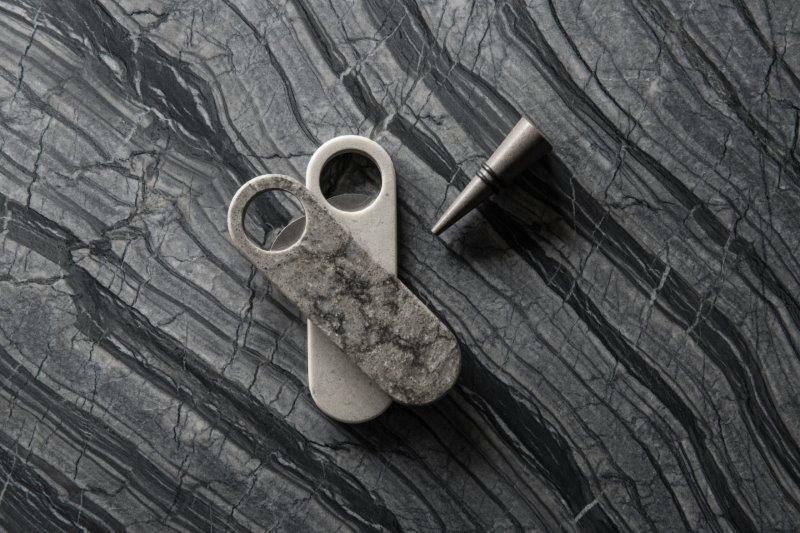 Recently, Chris & Anna Weylandt were invited to collaborate with Caesarstone to celebrate their latest range of products, which were launched at 100% Design South Africa in August this year. The result is a bespoke collection that takes the art of hosting to new levels of sophistication. Convivium, referring to the ancient Roman banquet, is a feast of texture — a coming together of Caesarstone’s classic marblelesque texture and the bold, contemporary lines that characterise Weylandts’ furniture. 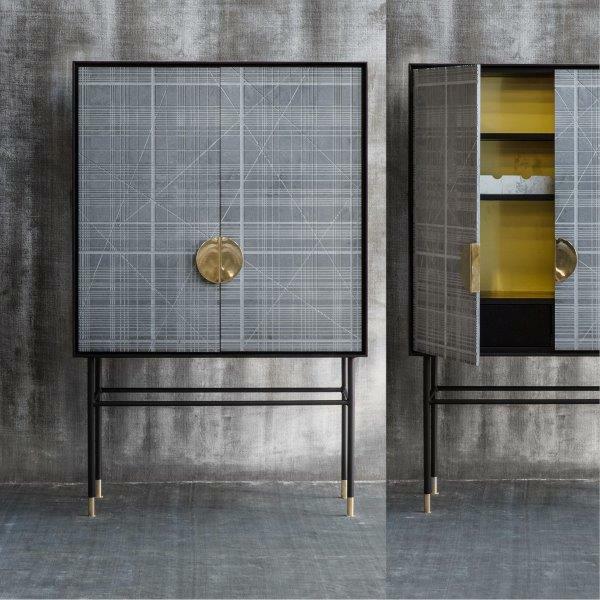 The host of the feast is Luna, a limited editing drinks cabinet with a brass handle that sits like a full moon in a constellation of roughed up Caesarstone. 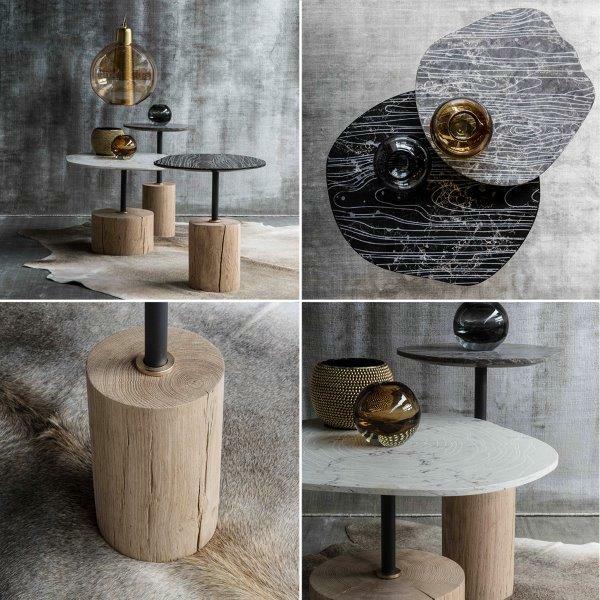 Luna’s three honoured guests are Caesar, Mark Antony and Cleopatra — a set of occasional tables that combine raw wood and steel with organically shaped Caesarstone tops. Together, they set the scene for an elegant gathering of creative spirits you won’t soon forget. Watch Chris & Anna Weylandt talk about the conceptualisation of the collection here. The collection can be viewed at the Fourways store and can be ordered nationwide.